The weathered remains found on a Scottish mountainside may be those of Eleanor Gray, but the imperious Lady Maude Gray, Eleanor's mother, will have to be handled delicately. 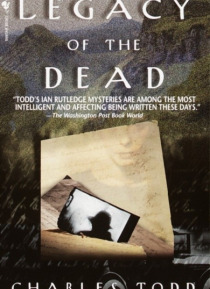 This is not the only ground that Inspector Ian Rutledge of Scotland Yard must tread carefully, for the case will soon lead him to Scotland, where many of Rutledge's ghosts rest uneasily. But it is an unexpected encounter that … will hold the most peril.For in Scotland Rutledge will find that the young mother accused of killing Eleanor Gray is a woman to whom he owes a terrible debt. And his harrowing journey to find the truth will lead him back through the fires of his past, into secrets that still have the power to kill.